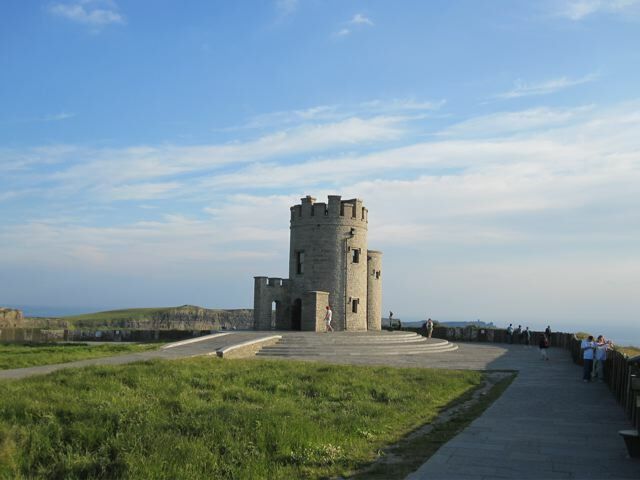 From the Cliffs of Mohr visitors centre there are regular shuttle buses returning to Doolin. Alternatively, turn around and walk back again for a 16 km round trip. No map necessary. Ask at Aille River Hostel for details of where to begin your walk. 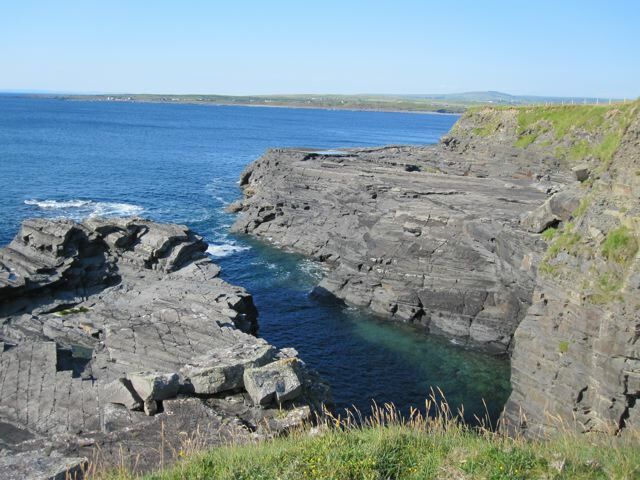 This is a great place to stay whilst in Doolin if you are on a budget. 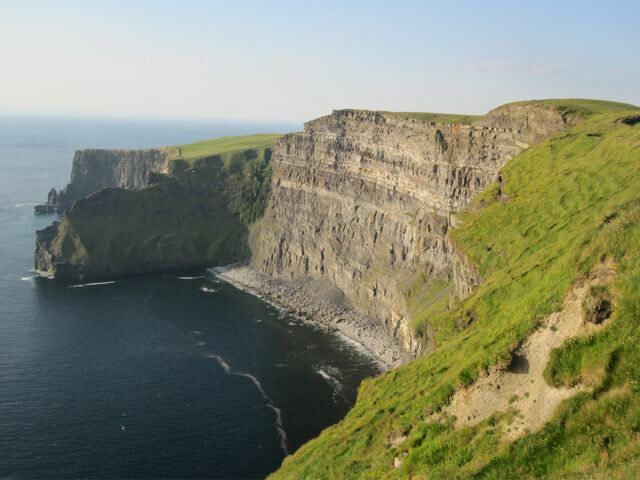 The Cliffs of Mohr are located in County Clare. At their highest point, they tower some 702 ft (214 metres) over the Atlantic Ocean. 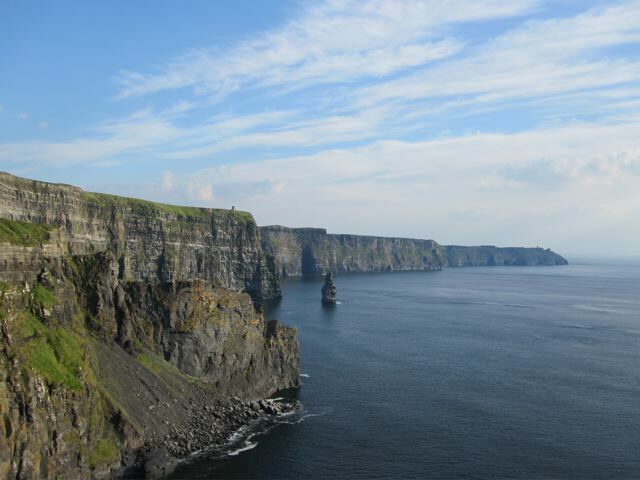 Receiving more than one million visitors a year, the Cliffs rate as Ireland’s most popular natural attraction. That being said, the vast majority of tourists access the cliffs via the visitor’s centre. 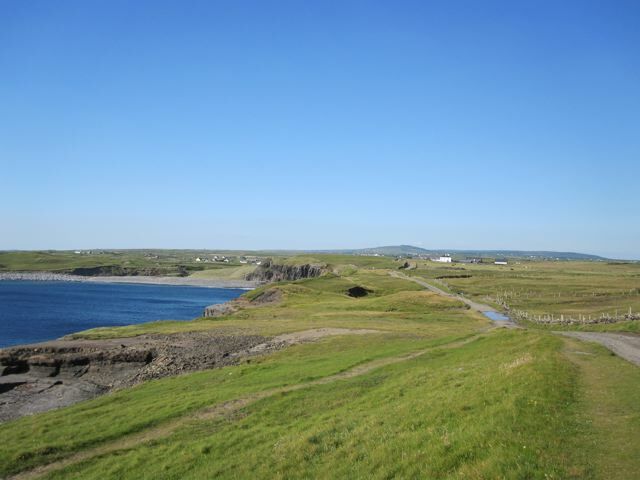 By setting out on foot from Doolin, you will have the opportunity to experience this natural wonder without having to battle the crowds. Walk SW out of town and hug the coastline. 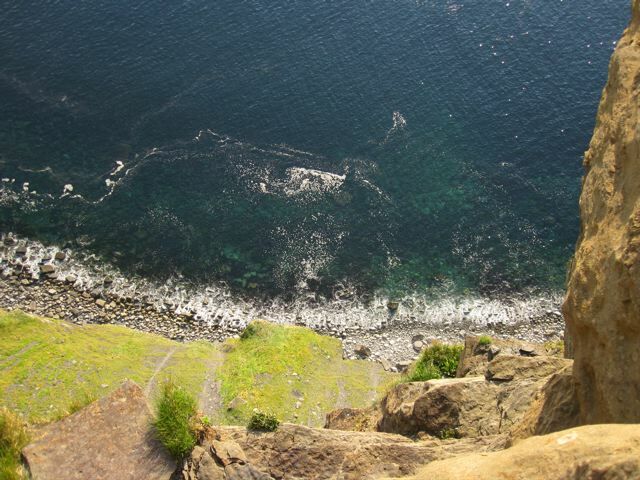 A heads up to those with vertigo; there are a couple of shortish sections which skirt the cliffs edge. Stay on the trail, look where you are going and you’ll be fine. Definitely an afternoon hike. 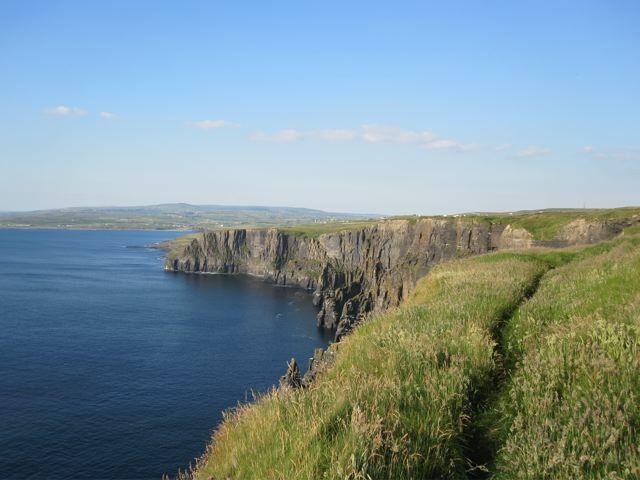 When the weather is clear and the sun is setting, the westward facing cliffs are an incredible sight to behold. This is more of a cruisy afternoon stroll than a strenuous full day excursion. Nonetheless, the scenery is stunning and if you happen to find yourself in this part of the emerald isle, it definitely rates as a must-do. 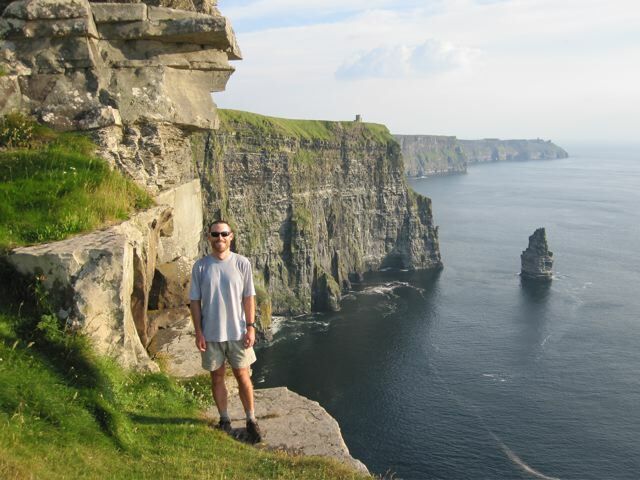 I highly recommend having a post-hike Guinness at McDermott’s Pub upon your return to Doolin.